For centuries sailors used this knot for securing items on their ships. 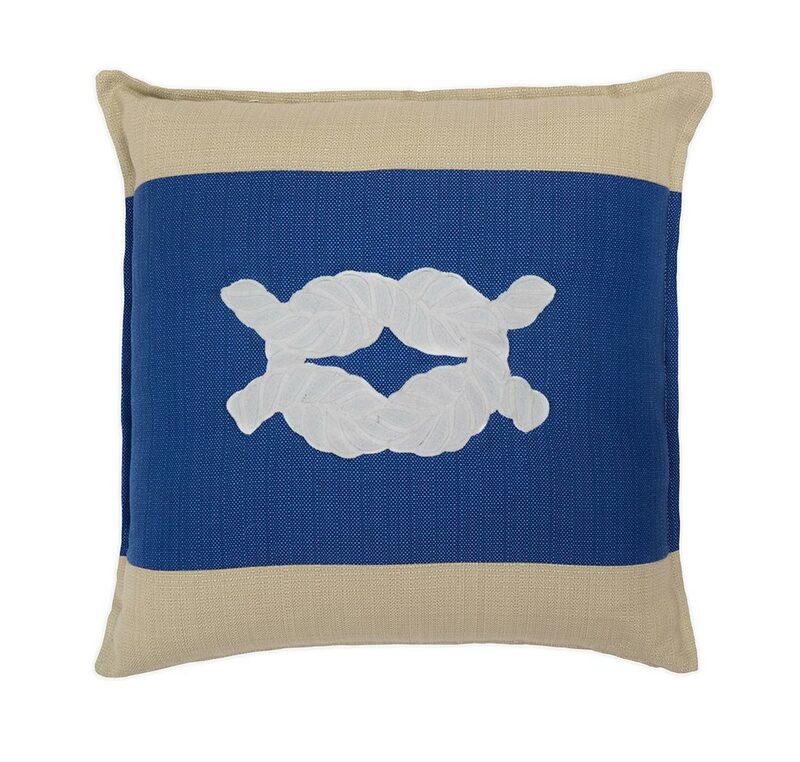 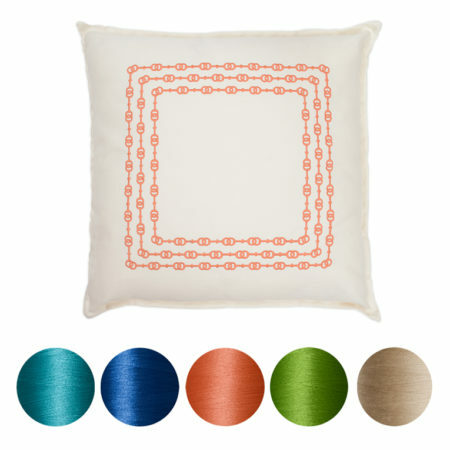 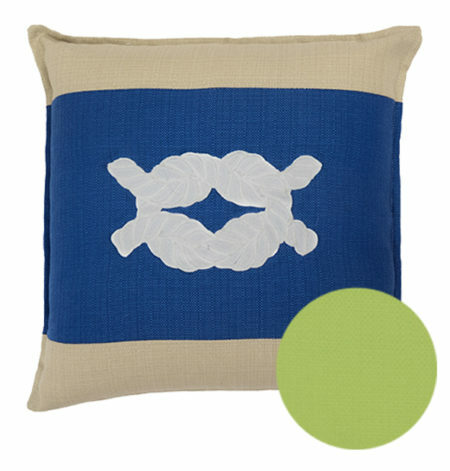 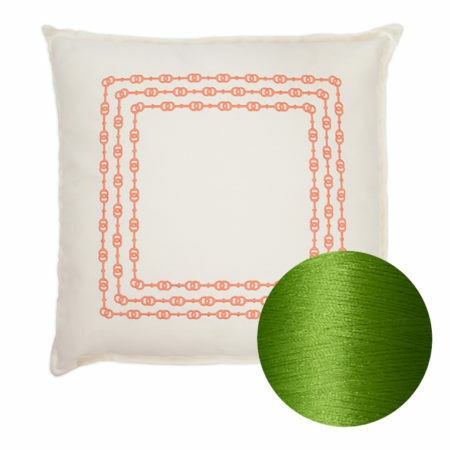 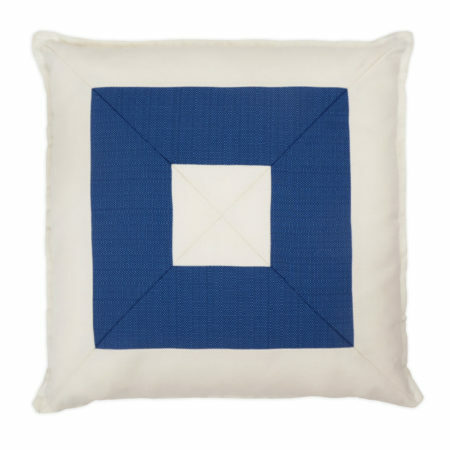 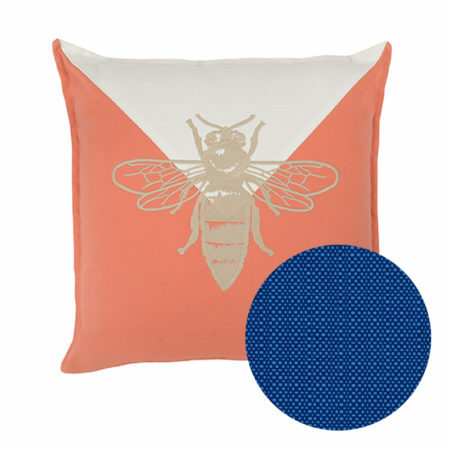 On land or by the sea, our embroidered What Knot pillows can tie together any nautical décor. 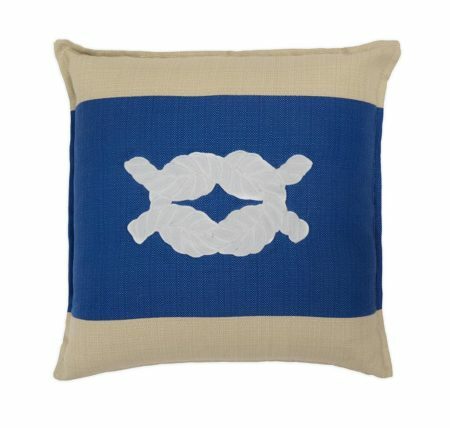 This nautically-inspired high-seas hero delivers in every environment, from the salty seas to the great lakes. 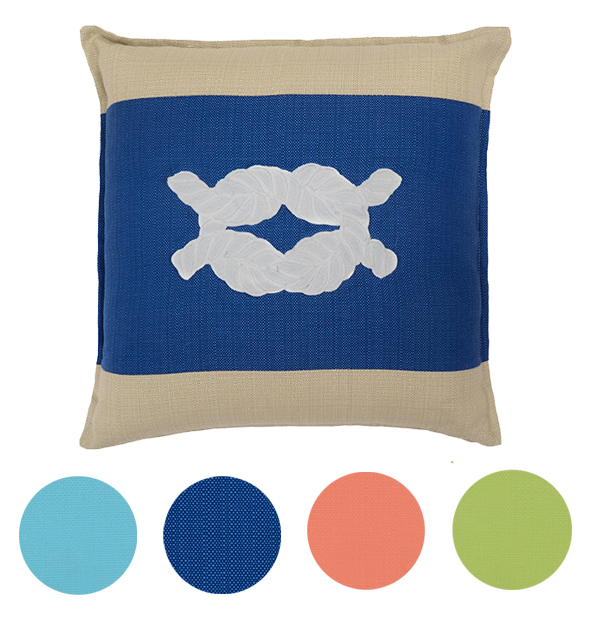 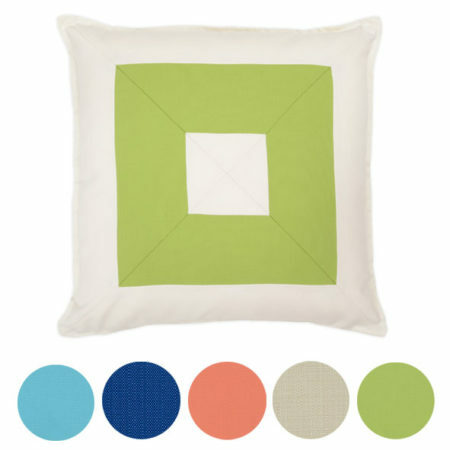 Available in four color combinations with Dune and Salt Air cloth.